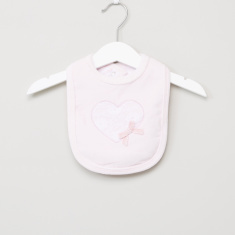 Soft and comfortable to wear around the neck, this bib is a lovely buy for your girl's feeding. It has a heart and bow applique on the front add to its pretty design. 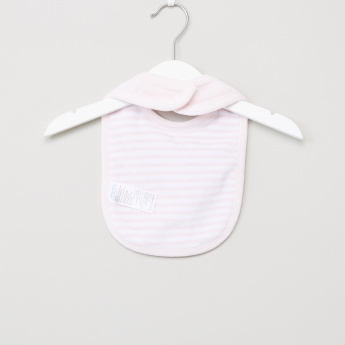 High in utility, the bib has a snap button closure at the back.